RUSH: Now, this next is hilarious. (laughing) I’m sorry, but it’s hilarious. The left, Starbucks is becoming exclusionary and kicking unwanted people out of its stores. Remember Starbucks got into trouble ’cause a couple people claimed racism in a particular Starbucks store? I don’t remember all details. But Starbucks responded (sputtering), “Oh, no! No, no! No, no! No! No! No! We’re not racist! We’re not… Oh, my God! Oh, my God! Oh, no, no.” So they changed their policy. Anybody, customer or not would do this into any Starbucks and do anything they want, they could sit down. They could go to bathroom, they could access the Wi-Fi, and they did not have to be a customer. In this way, Starbucks was demonstrating its global citizenship. “[I]t would allow all guests in its U.S. company-owned stores to use its cafes, including its restrooms, whether or not they” bought anything. “That announcement, which attracted some support, also drew complaints that cafes wouldn’t have enough seats for paying customers and would turn into homeless shelters and drug havens.” No, no, no! That’s not what’s gonna happen, Starbucks said. That’s not gonna. (sputtering) “We’re — we’re — we’re… We — we are not racists. We’re not bigots. We’re not we’re not bad people. We… Anybody who wants to come in, come in!” It’s kind of like anybody that wants to come to our country that’s not a citizen, come on in! So Starbucks got a dose of what happens with open borders, and now they’re having to kick out the drug abusers and the other human debris that walk in. RUSH: Starbucks said anybody’s welcome. Good liberals! They’re good people. They care about people. (sobbing) They’re not racist or any of that. So they said anybody in the world could come into their U.S. stores, and all kinds of riffraff did. Drug addicts, purse snatchers, muggers, rapists, people that wanted to use the bathroom. Smokers! Do you realize it was the smokers who were the greatest offenders? Rapists and muggers? Fine. Just get ’em out of here. Drug abusers? Eh. But smokers? Yuk! But they all walked in. “On Monday, Starbucks revealed more about the policy, telling The Wall Street Journal that employees now have detailed instructions on what to do if someone is behaving in a disruptive manner, such as smoking, using drugs or” consuming adult beverages, which is also considered to be unacceptable and offensive. And now they can’t come in and start “using restrooms improperly or sleeping” if they don’t buy anything. They have totally reversed this simply because of the human debris the new policy attracted. “Under the procedures for handling disruptive guests, Starbucks said Monday, managers and baristas should first ask a fellow employee to verify that a certain behavior is disruptive…” So let’s take smoking. So if somebody walks into a… Let’s say a homeless person treks into Starbucks and is smoking let’s say a cigarette and they sit down. (laughing) They have to get verification of this! Even though everybody can see it plain as day, they have to pointedly get verification “that a certain behavior is disruptive and if it is, respectfully request that the customer stop. Other examples of disruptive behavior include talking too loudly, playing loud music and viewing inappropriate content.” That could be something as simple as watching Fox News. “The company provided employees with examples of when they should call 911, which includes when a customer is using or selling drugs.” Well, so much for the policy that anyone could use the johns at Starbucks. This is how this all began. So Starbucks essentially tried an open borders policy. I mean, what else could this be? “You want to come in? Come in! No matter who you are, we want you. You’re the future of our company. You’re the future of our stores. “You don’t have to buy anything. We will give you some coffee if you want!” That would be an actual similarity to illegal immigration, if Starbucks offered to put these vagrants on their health care plan. It lasted all of two days. 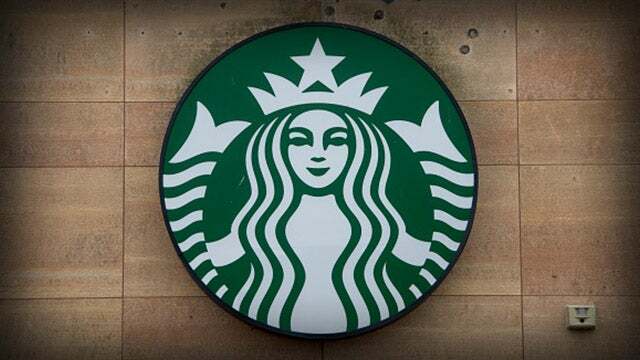 All of two days of human debris swarming Starbucks stores, and they had to immediately reinstitute the old policy that led to charges they were racist. I’m sorry, I just find it humor humorous. Very, very teachable moment. They won’t learn anything from it, but the rest of us certainly can use it as a teachable moment.